Momtastic, winner of the prestigious Webby award in 2015, helps today’s mom be her best with smart, practical parenting advice, inspirational ideas for the home, style solutions, and more. Be Momtastic! A community whenever and wherever she needs it. Sure, there are other parenting sites out there, but we get right to the point and deliver only the stuff moms really want. Because let’s face it, moms don’t have a second to waste. And, we don’t just stop at parenting advice, because we get that while moms love their kids they have other passions as well. So we also offer style and beauty advice, home decorating tips, recipes, relationship secrets, and more. We serve 5.3 million* moms each month with authentic advice from other moms who have been there. We tell you how it is on the issues that moms really care about, in a voice that’s honest, approachable, and real. We don’t just tell you about pregnancy—we reveal exactly what it’s like, through first-person accounts from real moms. We help you raise happy, independent kids with tried-and-true advice from moms who have done it. And we deliver smart hacks that help you make the most of your time, build a stronger relationship with your partner, and, yes, even sneak in a little you time. Our network of popular mom bloggers includes Kim Bongiorno, the author of the popular blog Let Me Start by Saying and six (!) hysterical books on parenting; and Chelsea Foy, co-author of the crafting book Make Your Day and a frequent contributor to HGTV and Apartment Therapy. And our robust Baby & Bump community (372,000+ moms strong! ), founded by mom and social guru Charlene Whelan, offers a friendly spot for moms to meet and bond over all things family related. Momtastic is a property of TotallyHer Media, LLC, an Evolve Media, LLC company. Jessica grew up in Brooklyn, NY in the 80s and 90s. Making her a member of the elite group of old millennials. She started her career as a photography assistant. After shifting her focus from images to words she worked for Parents Magazine and Ser Padres before joining Siempre Mujer in 2006 as an editorial assistant in the beauty and fashion department. By 2016 she was named Editor-in-Chief of the publication becoming the youngest person to ever hold the title at Meredith publishing. That same year Jessica was named one of the Top Women in Media by Folio Magazine. 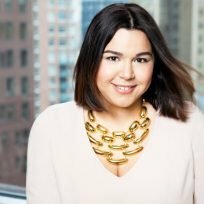 Previously she was Editor-in-Chief at LifetimeMoms and has done freelance writing for NYMetroParents, MommyPoppins, Westchester Magazine, and Westchester Family. When she’s not working, she is spending time her two kids, Henry, 11, and Josie, 8, her dog, Georgia, 1 and her husband, Adam.